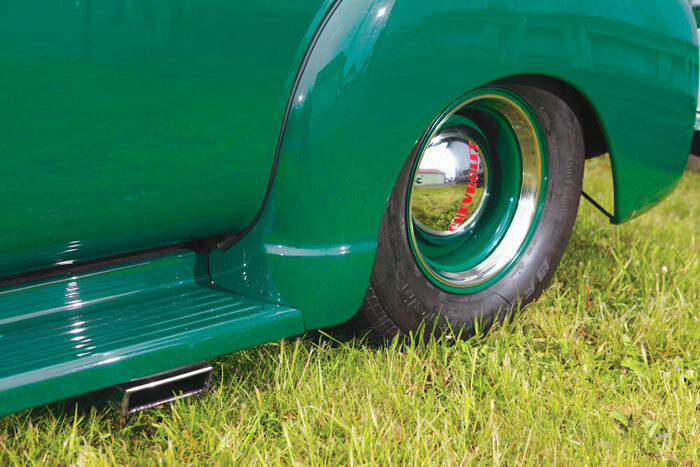 The desire for many people to own a classic car is derived from memories of their youth. Often this memory is a high school car, a first car, or a special connection to a vehicle owned by a family member. 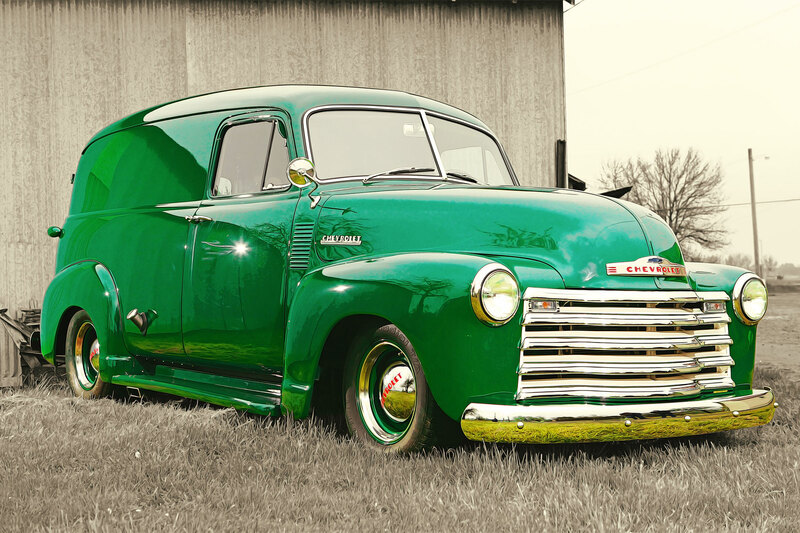 The owner of this gorgeous 1952 panel truck is Dale, and he has many wonderful memories of riding in his father’s 1952 GMC pickup truck with a factory canvas canopy. In addition to the memories of his father’s 52 Dale recalls his fondest memory of a wild ride in his cousins father’s 1950 Chevy pickup down a rough & muddy road as he and his cousin tried to hang on without seat belts!! 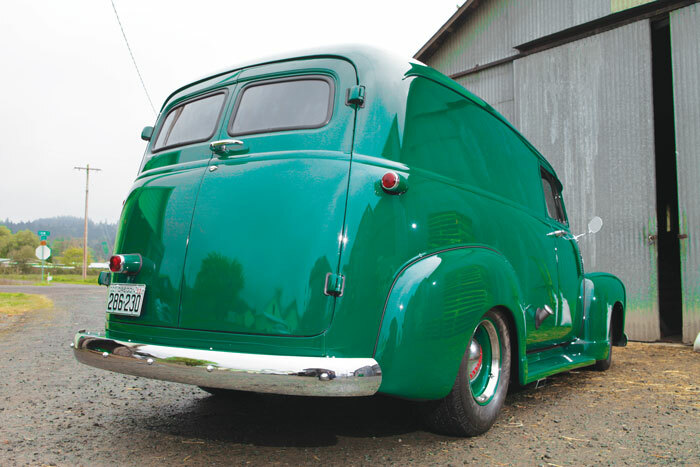 Over the years Dale has dreamed of owning a classic because of their unique design compared to the styling of trucks today. 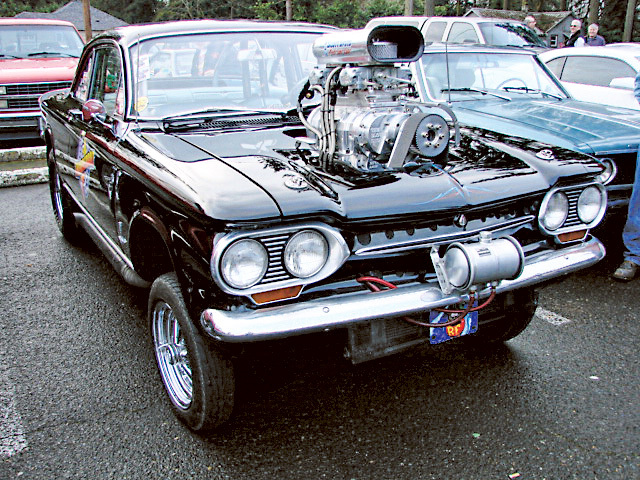 As fate would have it Dale located his future pride and joy in Grants Pass, Oregon…though the panel was a former long term resident of sunny Arizona. 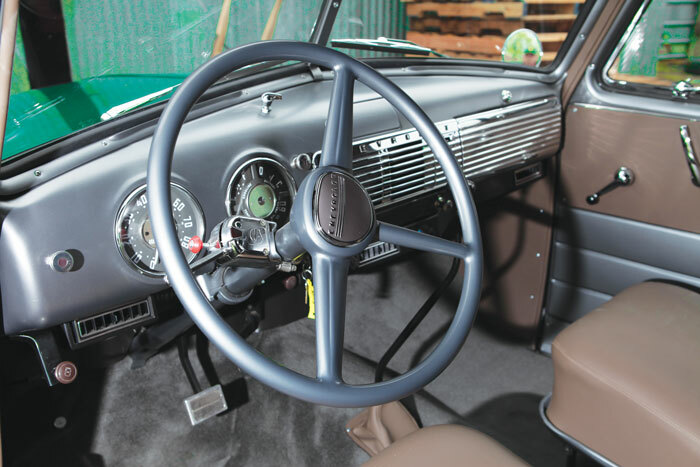 Once the panel was located Dale set out to find a restoration shop to entrust his dream car to, and settled on MetalWorks Classics out of Eugene, Oregon. 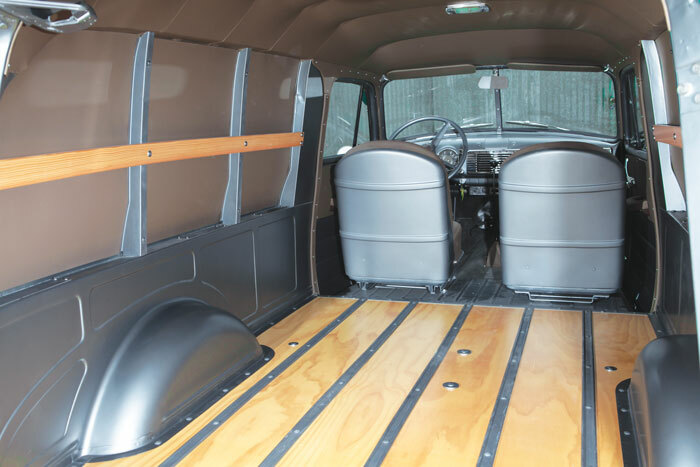 The goal was to keep the panel stock appearing, but make it as effortless to drive as a modern vehicle…and equally as reliable. It was decided the panel would receive an LS conversion, something MetalWorks is very versed in. 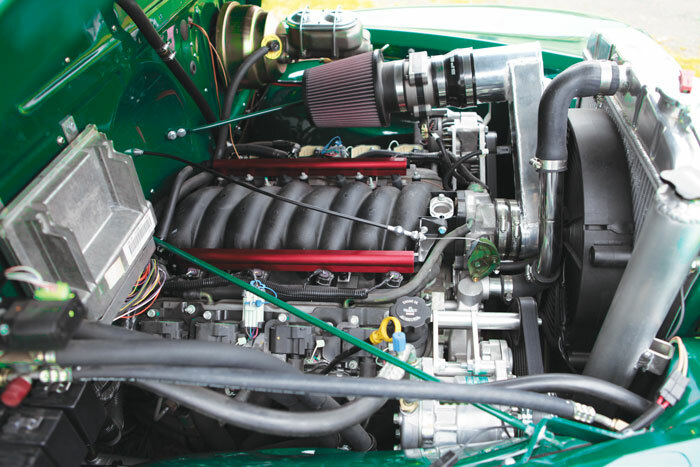 The panel’s LS driveline came in the form a 2000 Camaro LS1 engine and 4L60E transmission combo which the team at MetalWorks nestled into the original frame rails. Other drivability upgrades for the panel included a Heidts front suspension, and a Ford 9” rear end tied to a 4 link out back. The end result is a bit of a wolf in sheep’s clothing as the overall stock appearing 52 will set you back hard in the factory seats when Dale mashes the throttle!! In the end Dale has a great looking and performing truck that his family can enjoy for many years to come. Dale is also pleased that he can pass along the fond memories of his youth onto his children and grandchildren when he takes them for a cruise in his dream car…but this time with seat belts!! 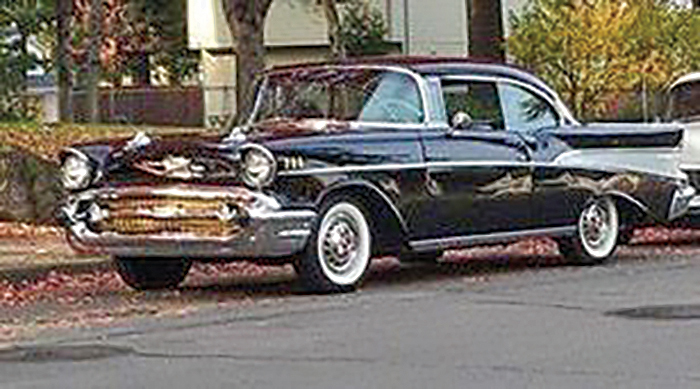 Black 1957 Chevrolet BA 2 Door Hardtop; all original, black exterior, silver/black interior, spinner wheel covers. 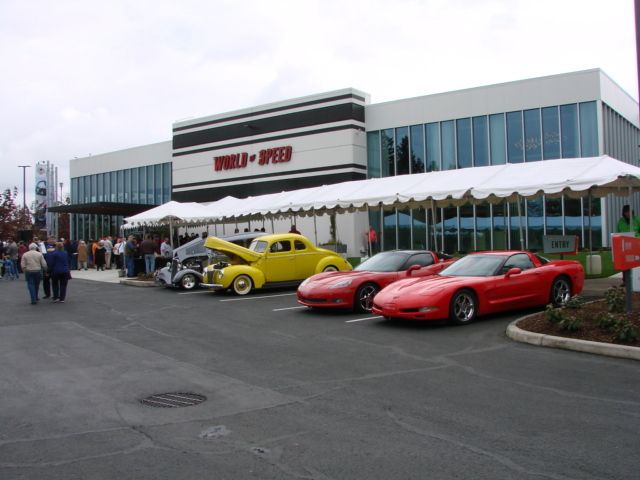 The World of Speed Museum opened April 24th with a ribbon cutting ceremony assisted by “Nanook” a blown “Altered” that raced all over in years gone by. Yep the museum is open to the public and it’s pretty cool. The displays and cars are diversified with regard to the racing categories. There’s land speed cars, drag race cars, circle track cars all the way from what the hobbyist would race to NASCAR. And there is motorcycle racing history from days of old and a track whose name I remember from my youth, ‘Sidewinders.’ That track was over in Clackamas Oregon. I remember one time some friends and I were out riding and we stopped at the track. It was “closed,” but we got in anyway. We didn’t ride around the track at all but we did walk the track. I have to tell you that the racers that did ride there were extremely brave. This track was on the side of a hill and from the gate to the first turn it funneled down into too small an area for more than a few bikes to get through. I can’t even imagine screaming down that hill with 30 other bikes and riders at speed and trying to get slowed enough to make that first turn and yet still stay ahead of the guys behind, assuming there were guys behind me. In fact, I know I would be last, probably back at the gate shaking in terror, making the excuse that the bike died and wouldn’t restart. LOL. 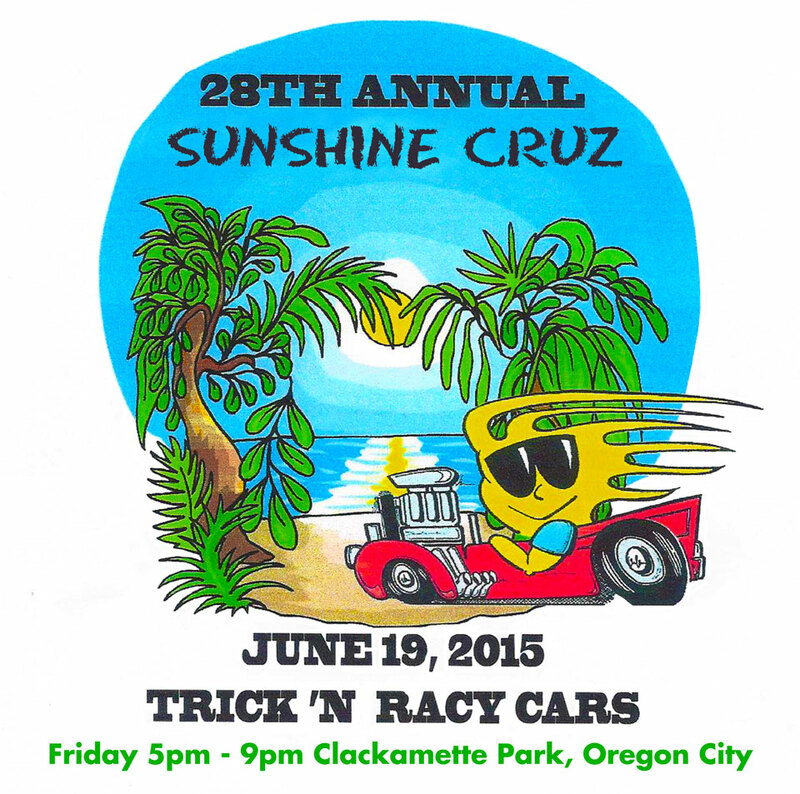 David and Sally Bany are responsible for the creation of The World of Speed Museum right here in Wilsonville Oregon. The museum has interactive displays, historical artifacts, many restored cars and the deal is they all must run. Some are owned by the Banys, some by the museum and others are owned and on loan by collectors. The museum is open from 10am to 5pm every day except Mondays, Thanksgiving and Christmas. 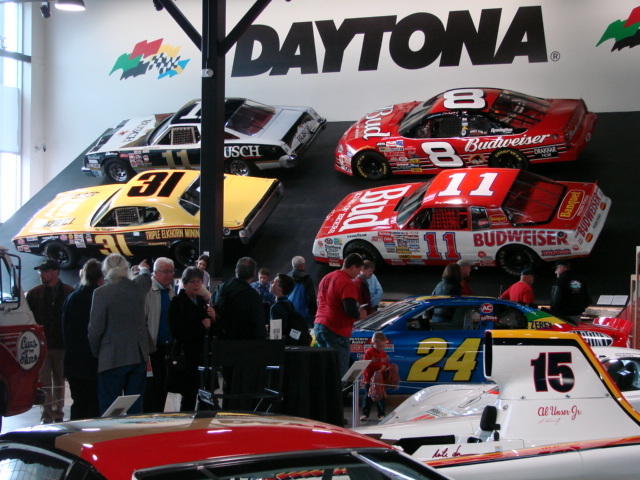 If you’re a car buff and even if you’re not, take a few hours to tour the place and learn a lot about the motorsports history of the Northwest and beyond. It’s exciting and informative.